This week we travel to Greece where the team at Tophographers.gr will tell us about what went into digitizing a medieval fortress town. Our company’s name is Topographers.gr and we are located in Athens, Greece. Our area of expertise is land surveying and monitoring/supporting of construction works. We started using drones for mapping large areas about 5 years ago. In the next years the evolution of both camera sensors and computer power allowed us to use photogrammetry for increasingly demanding projects. 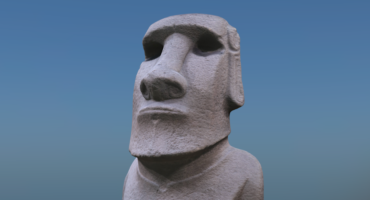 We now make 3D scans for archaeological sites and monuments, buildings, large construction projects and are able to reach previously inaccessible areas. We use quite a number of drones, some made by us, and cameras. As far as the software is concerned, Agisoft Photoscan Pro has been our main software for photogrammetry projects for the last 2 years. The model of the Fortress Town of Monemvasia was scanned for archaeological purposes. It was reconstructed from 700 aerial photos taken with a Sony Nex 5r camera. All the pictures were taken during a period of 2 days.We were lucky to get good enough weather to fly! The vertical photos were taken during a programmed flight of the UAV. The oblique photos were taken during an operator guided flight. This increased the risk of a crash into the sea with no chance of ever retrieving the drone or the camera in good condition. The Fortress Town of Monemvasia is a cultural heritage, among the most impressive places on Earth and a gem of Greece. Located on the south eastern side of Peloponnese, Monemvasia was entirely carved on the back side of a sea rock during the Byzantine years. The town and fortress were founded in 583 AD by inhabitants of the mainland seeking refuge from the Slavic and the Avaric invasion of Greece. Within the town’s extensive walls almost 40 churches still remain. The buildings of the town have been restored, under the strict guidance of the Archeological services. Many of them have been converted to hotels. Climbing up a narrow stone pathway leads you to the vast plateau that was once a thriving town in the ancient years. For more information on the majestic Monemvasia visit http://www.monemvasia.gr. 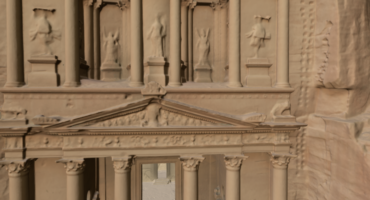 To see more of Topographers.gr’s models here on Sketchfab, check out their profile. had always been interested in aerial photogrammatry!